According to the ancient Chinese feng shui system, a well-balanced home enhances the flow of energy and also invites comfort and peace. But what does it take to use this system properly and what steps should you take to create this perfect balance in your own home? Fortunately, incorporating feng shui in your house is not difficult or expensive. Decorate and design your home for maximum comfort and flow of energy by keeping these simple but important five feng shui rules in mind. One of the most important feng shui rules for the bedroom involves balancing both sides of the room. The first step of creating this balance calls for you to place your bed in a commanding position so that it does not face the door but still gives you a good view of every angle of the room. You then should place the same number and size of furnishings on each side of the bed. For example, if you put a nightstand on one side, you should place a nightstand that is the same size on the other side. If you place a throw rug on one side, you should lay one of similar dimensions on the other. This balance demonstrates equality in your home and your personal relationship with your significant other. It also invites better flow of energy in your bedroom. Incorporating feng shui rules also calls for you to maintain the creative energy that you already have in your home. Your home office, for example, is a room where you perhaps enjoy the most creativity as you work on projects and come with new and exciting ideas. By following feng shui ideas, you can help keep your energy in this room so that it remains a place of inspiration. Most importantly, you should avoid placing your work desk so that it faces a window. If your desk faces toward a window, it is said that you are allowing your creative energy to flow out of the room. However, if you like to look out of the window as you work, you should place your desk so that one side is adjacent to it rather than facing it directly. When you want to use feng shui rules in your home’s design and decoration, you should remember to use all five natural elements when furnishing each room. 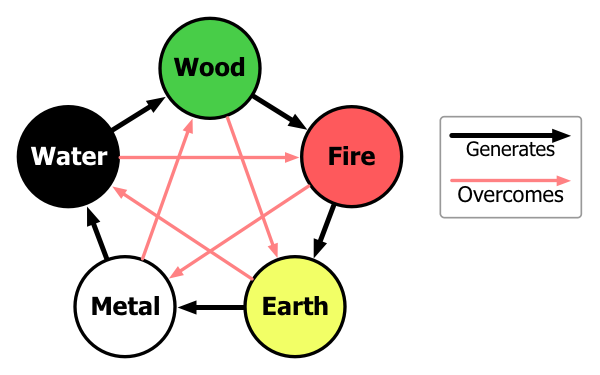 The five feng shui elements are water, fire, wood, earth, and metal. Ensuring that all five of these elements are present can be done by using furnishings like mirrors to represent water, candles or a lamp to represent fire, or objects made from ceramic to represent earth. When you include all five of these elements in each room of your home, you help create a better balance and maximize the flow of energy. The feng shui in your home can be greatly compromised if your house is full of clutter. First, a messy house can pose a risk to you physically if you trip and fall over belongings that you have no need for or do not use often. For your own physical wellness, you should organize your possessions and get rid of excess belongings when you want to use feng shui rules in your house. Clutter also drains your emotional and mental energy as you worry about the mess or feel embarrassed about your home’s appearance. When you want to maximize all of the feng shui rules in your home, you should start by getting rid of clutter so that you invite more energy, comfort, and peace. Many homeowners forget that feng shui rules should also be applied to the outside of their homes. In fact, a home with a messy or uninviting exterior could suffer from a healthy flow of energy even if all of the feng shui rules are applied to its interior. To create the perfect feng shui look outside, you should focus especially on making the front of your home’s exterior as inviting and beautiful as possible. A curved walkway, for example, looks more inviting than one that is straight, uninteresting, and even stern in its appearance. To enhance the appeal and flow of energy outside of your home, you can also plant flowers, small shrubs, and bushes alongside the curved path. You also should use bright outdoor lighting and large letters and numbers so that visitors can easily find your home in the neighborhood. A covered porch or a porch that has large steps leading to the front door also helps maximize feng shui energy outside of your house. If your home faces a busy street, you should take steps to block its negative energy from making its way into your house. Create a buffer by planting trees, shrubs, and flower gardens in your front yard. The vegetation also helps keep positive feng shui energy in your home so that it does not escape to the busy street outside. Feng shui is an ancient Chinese system that emphasizes balance and flow of energy. When you want to incorporate this system in your own home, it is important that you know what steps to take to ensure that each room reflects all of the feng shui rules. Using feng shui in your home also does not require that you spend a lot of money or undergo specialized training before designing or decorating your house. 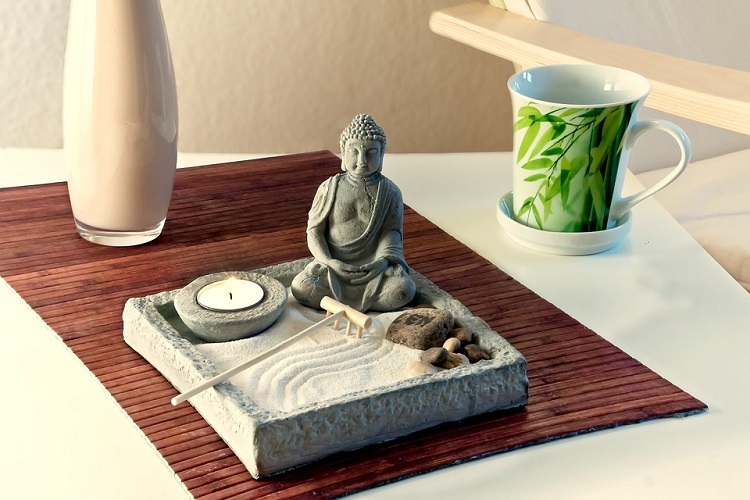 When you want to create a better balance and invite higher levels of peace and comfort into your home, you should follow these simple yet very effective feng shui rules today.